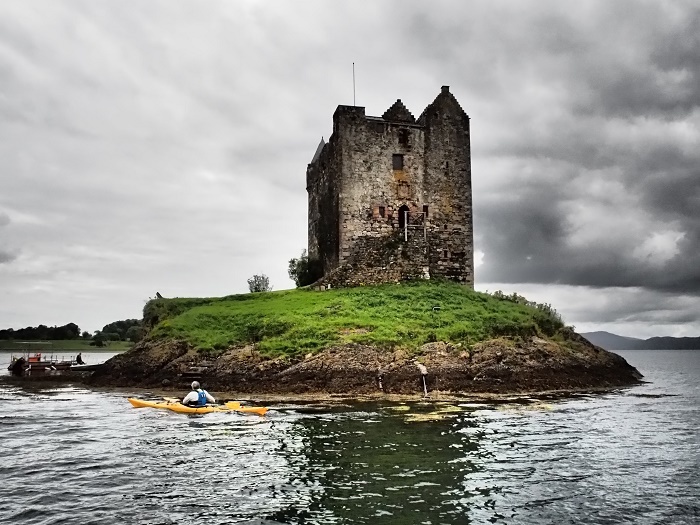 Castle Stalker is a tall, massive and yet very simple castle tower which is located on a tidal islet named the Rock of the Cormorants on Loch Laich in the north eastern part of the Argyll County of Scotland, within the United Kingdom of Great Britain and Northern Ireland. 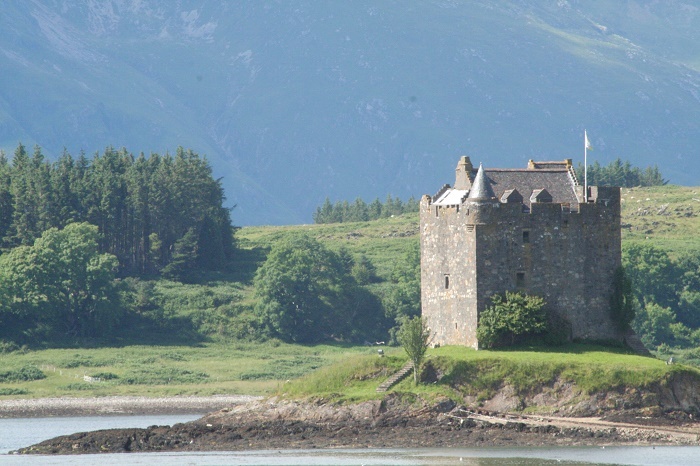 Originally named Stalcaire, which in Gaelic means “falconer” or “hunter”, the castle has a very long and turbulent history. 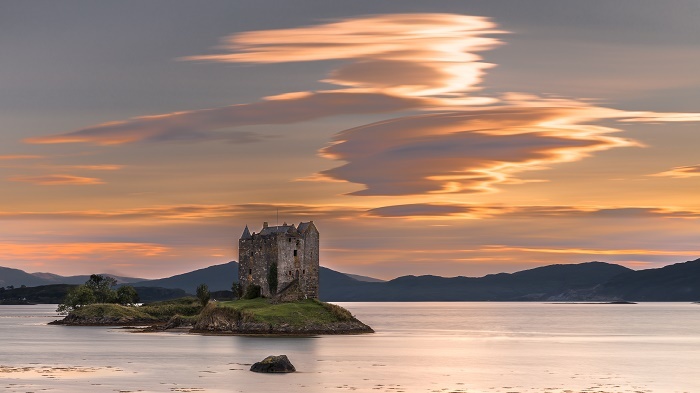 Considered to have been built at first like a small fort, there are sources which date it around 1320 when the Highland Scottish clan, Clan MacDougall, began their rule with the small islet. 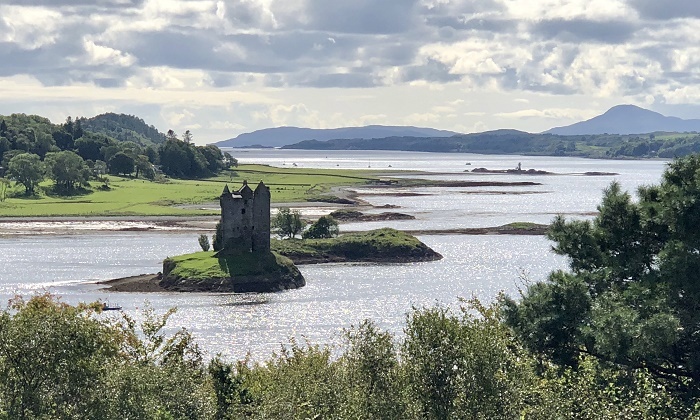 Some time later, more precisely in 1388, Castle Stalker was taken over from the Clan Stewart of Appin who have remodeled and built it in 1440s to the present form. There are two entrances in the structure, with the first one located at ground level and it is defended by a machicolation which is actually an opening above the gate, while the other entrance is considered as the main one, located on the first floor and accessed by an external stone stairs. 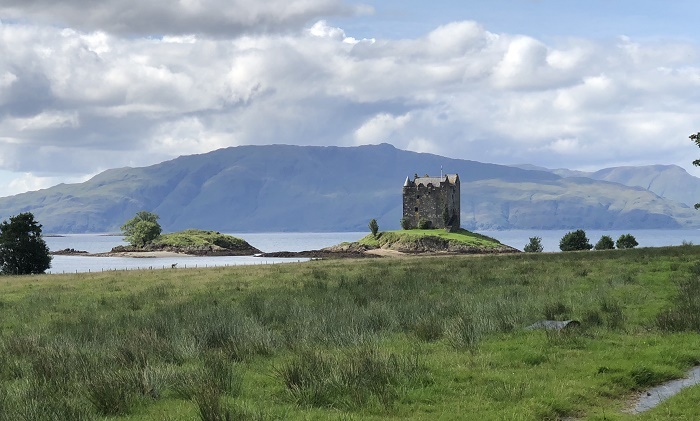 Unfortunately, after changing many owners, the castle was abandoned completely in 1840, when finally in 1908 Castle Stalker was bought by Charles Stewart of Achara who did an important conservation work. 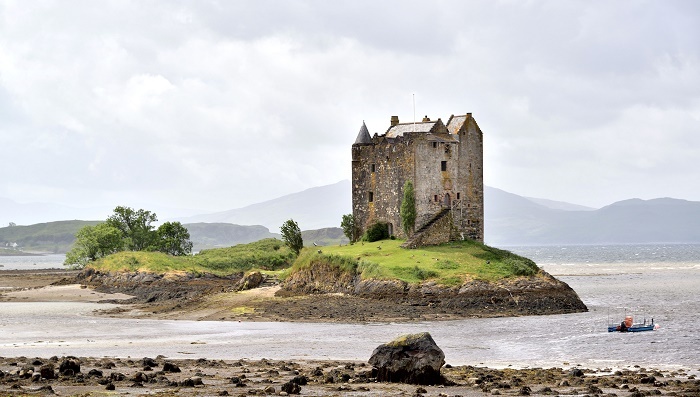 By 1975, the impressive structure was completely restored to its previous glory, and nowadays represents one of the best preserved medieval towers that still survive in western Scotland. Even though it is still privately owned, good sign for the popularity is that Stalker has been featured in plenty movies and books as well, among which the most significant appearance is in the movie Monty Python and the Holy Grail from 1975. 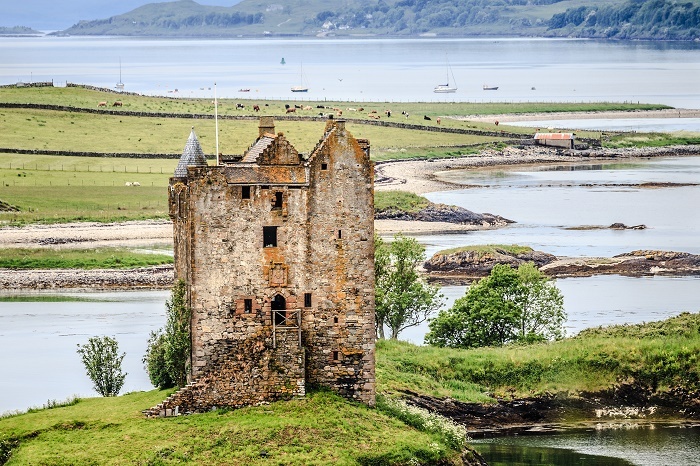 Open for official tours throughout the year, Castle Stalker is a true Scottish treasure that should be well known around the world as a place where a lot of drama, murders, revenge murders, illegitimate children and mysteries occurred during its long history.